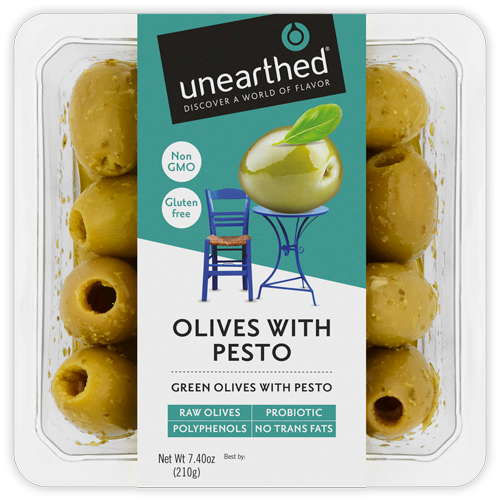 These delicious olives from the Eastern Mediterranean are grown on trees that have been in the same family for centuries. Each olive is handpicked and gently fermented to enhance its natural flavour. 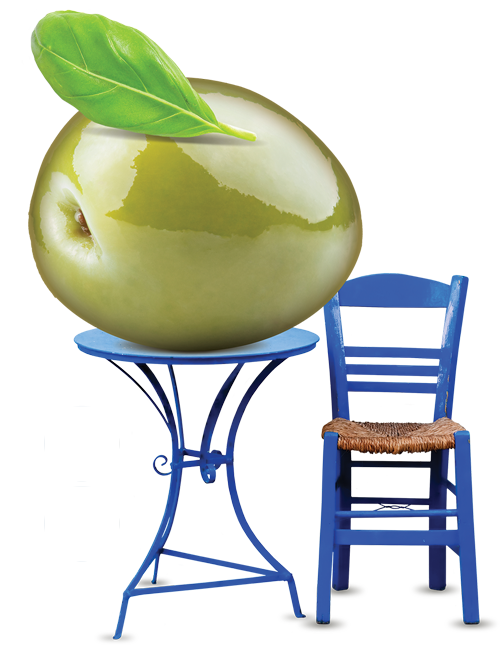 The result is naturally GLUTEN FREE and NON GMO, with ACTIVE PROBIOTICS and ZERO CHOLESTEROL. The name ‘pesto’ comes from a word meaning ‘to pound or crush’ and many Italian families have their own special preparation. This is ours, based on the famous Pesto Alla Genovese from the Italian port city of Genoa. Halkidiki Olives (Green Olives, Salt), Sunflower Oil, Pesto (Basil, Sunflower Oil), Medium Fat Hard Cheese (Pasteurized Cows’ Milk, Salt, Starter Culture, Enzymes), Water, Sugar, Potato Flakes, Salt, Pecorino Cheese (Sheep’s Milk, Salt, Starter Culture, Animal Rennet), Garlic Paste, Lactic Acid, Citric Acid, Ascorbic Acid.